If your house is full of unwanted clutter, it's a good time to think about going to a car boot sale. 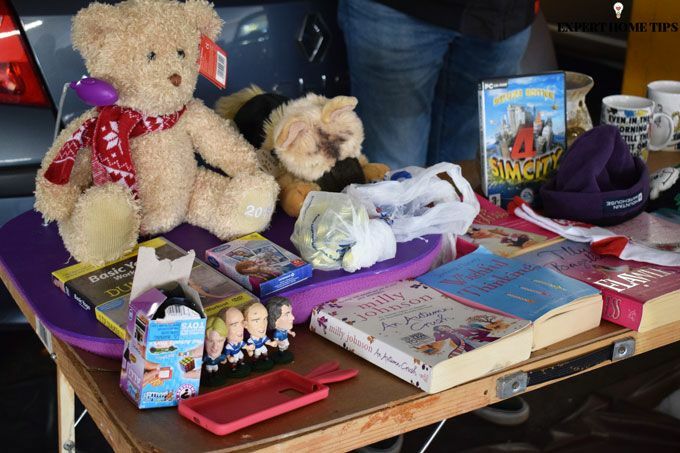 The thought of running your own stall can be a little bit daunting, so we've put together our best, tried and tested car boot sale tips so that you can have a successful day. Fill your car with unwanted stuff. 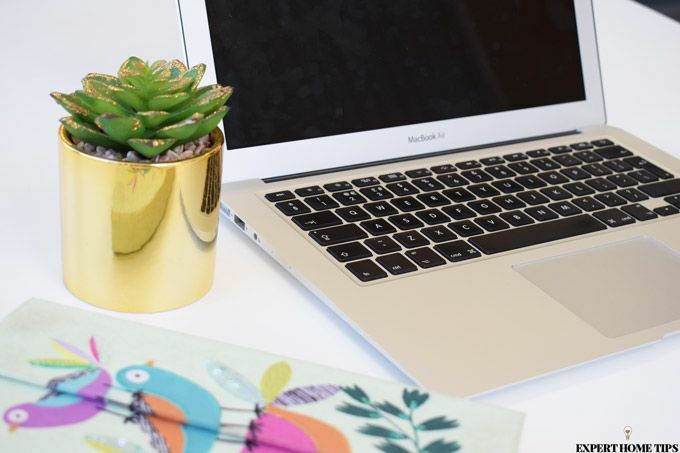 You'll want to bring as much as possible to ensure you don't miss out on sales. Keep reading to find out what items are most popular at car boots. Whether you already own one or are borrowing from friends and family, you'll need a large, collapsible table. Pasting tables work best as they are nice and long. Get rid of your carrier bag hoard! Remember that hoard of carrier bags you have sitting in a cupboard somewhere? This is their time to shine! 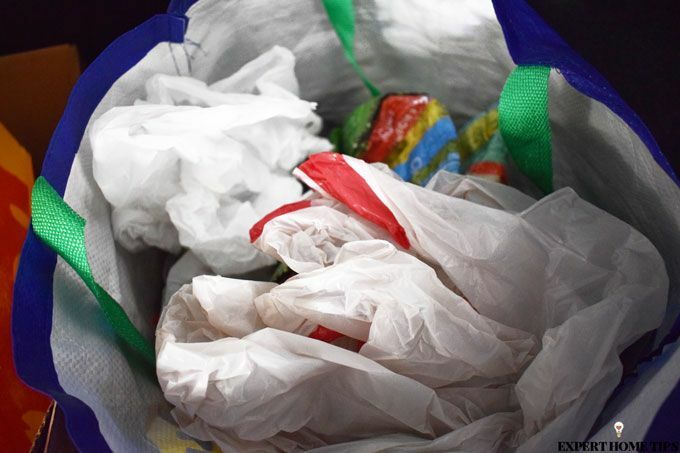 You'll be amazed by how many people ask for carrier bags at your car boot - even if they only buy 1 item. You could charge 5p per bag, but most people will just give them out for free. You'll probably be glad to get rid of them anyway. 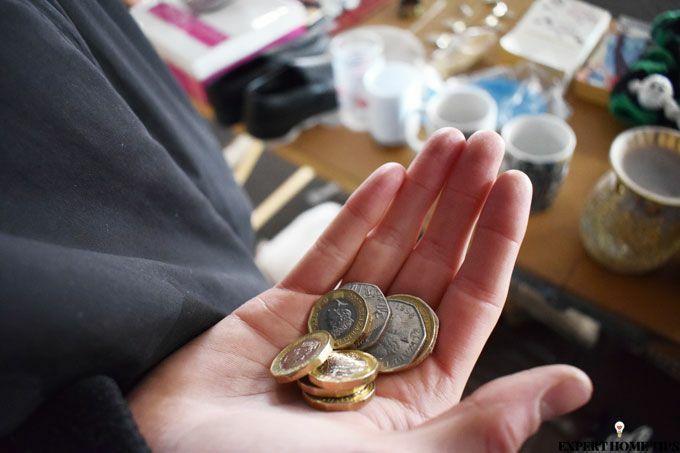 You'll need at least £10-20 in spare change to make transactions smooth. You might find people try to spend £20 notes at your stall, so be prepared. You can get change from machines at most supermarkets. Be very careful with your money at all times. It's best to keep it on you and in a money belt, if possible. Coat pockets also work well as they're nice and large. Avoid keeping your stash in your car or on the table. It's harder to keep your eyes on it and could easily be stolen. They're great if you don't have a clothes rail. This one is completely optional, but it's a good idea to have some sheets of tarpaulin to display bits and bobs on the floor. You could also use a picnic blanket to the same effect, just remember the ground could be wet or muddy. If the weather forecast isn't too promising, it might be worth getting some clear tarpaulin sheets to lay over your table. The rain won't stop the customers from coming and this way they'll still be able to see what you have for sale without it getting wet. The first mistake you can make at a car boot is to spend your profits buying expensive, greasy burgers. You'll need snacks to keep you going so make sure to pack a small picnic. A flask of coffee will warm you up in the colder months and help with those early morning starts too. Find out if you need to book a space online. There's nothing worse than being turned away from a car boot sale. Your car is full to the brim with junk and now you've got to go home and unload it all. Don't let this happen to you! Pre-book your car boot space wherever you can. 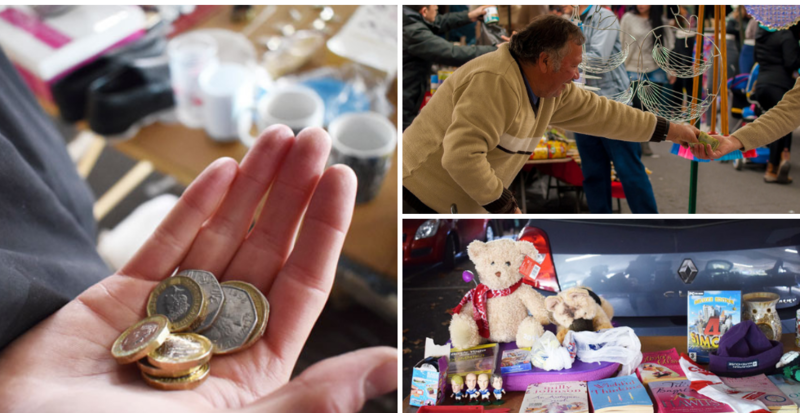 The price for a pitch varies between each car boot sale, but expect to pay between £5 and £15 for a car. It might be worth travelling further for a cheaper pitch, but consider how much you'd be spending on petrol and whether the car boot sale is as popular. Car boot junction has all the information you need to know when it comes to car boot sales near you. You might be tempted to put your table in first, but think about setting up at the other end. You'll need everything to be packed in reverse order. Customers won't hold back on trying to haggle, even if you've barely parked up, so make sure you can get unloaded as quickly as possible. 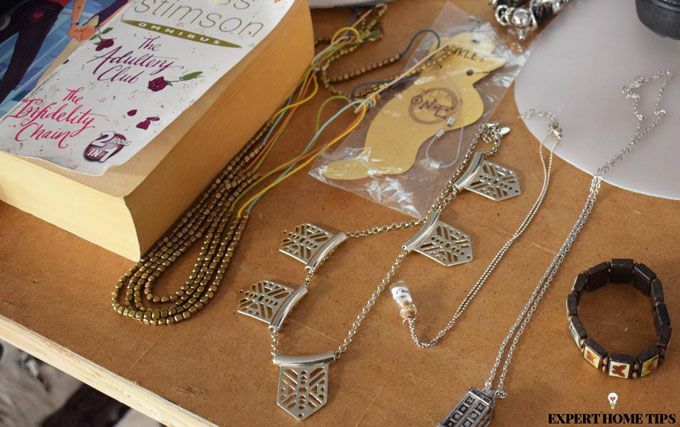 If you pack your items into boxes or crates, all you have to do is take the box out and display it on your table. This will also make packing up at the end of the day much easier. Squeeze in as much as you can. You'll have to wake up pretty early to nab yourself a space at the sale. Don't make life harder for yourself by leaving the packing to the last minute. You'll need to set aside some time the day before to gather everything you intend to sell and anything else you might need to take. Pack everything into the car in advance, so all you have to do in the morning is wake up and go. It's a good idea to go in expecting your goods to be handled over and over before you get a sale. People like to look closely at what they're buying. If you're selling delicate, fragile or valuable items, consider that they could become damaged or broken from being on display. 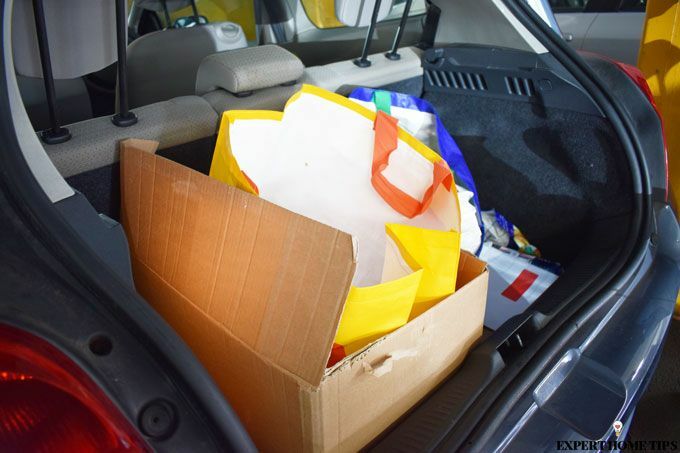 Your things will be dropped and could even be thrown about by children, so you might want to display precious items in the boot of your car with a look-don't-touch policy. If an item were to be damaged, ask yourself how you'll respond. Will you demand payment? You might want to put up a warning sign or just don't bring items of higher value to the sale. The sad reality is, not everyone at a car boot sale has the best intentions. If you look vulnerable, someone might take advantage of you. The best way to curb any doubts is to bring a friend along to help you. Not only will it help with boredom during quieter hours, but you'll have more eyes watching over your stuff. You could have 4 people trying to make you an offer at the same time, so it can get pretty hard to keep watch on your wares. Before you know it, they could've walked off with your stuff for free. Keep your car locked when you're not unloading or packing up. Keep cash and change in your pockets or a money belt - don't leave it on the table or in your car. Keep all valuables on your person. Keep an eye out when people are looking at your stuff. Don't expect to sell things at high prices. People go to car boot sales looking for really good deals so you'll be lucky to get £10 even for a brand new pair of trainers still in their box. Stand your ground and say no if you don't want to accept an offer. The average price is 50p to £2. You can try for higher prices, but you'll probably find you're wasting your time. It's best to sell higher value items through sites like eBay. 13. Would you rather keep it? Everything you're selling should be clutter, but that doesn't stop us feeling a little bit attached. If you're offered a low price on something, ask yourself if you would rather just keep it. There's no point giving stuff away for next to nothing if it still serves a purpose to you. If you're desperately trying to get rid of everything on your table, use the last hour to get rid. 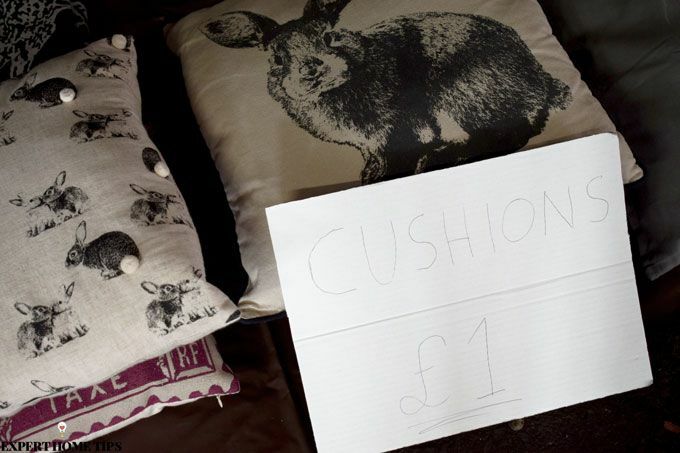 Start by selling all items for 50p, then 25p, then 20p and eventually offer everything up for free. It'll save you having to take it all home. When working out how much you've made, remember to account for your costs. Consider things like the cost of your pitch, petrol and if you've paid out for lunch or a hot drink. It all adds up and eats into the total made. Think about how much time you've spent on the car boot sale and whether it'd be worth doing it again. You probably won't make a fortune, but you will have cleared the clutter, made a bit of pocket money and - hopefully - had a good time while doing it. It's certainly an experience! Some labeling can be helpful. There are mixed feelings on this one, but we'd suggest that you don't bother labelling anything with prices. It normally gives you away as a newbie if you label everything on your stall. 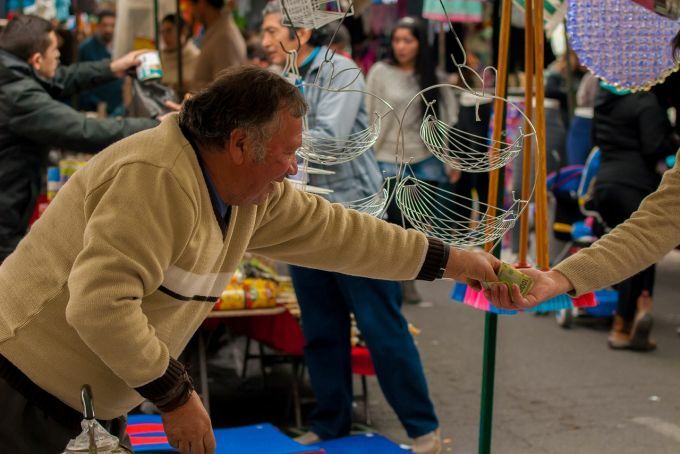 People will try to haggle and you may wish to change prices quite often throughout the day. You could also be damaging items by putting a label on them. It's good to have an idea of what you want to sell everything for, and make sure anyone you've brought along to help knows too. You don't want them to sell something for 50p that you wanted £2.50 for. An alternative to labelling is to display your items in sections based on value. You could have items for 50p at one end, all the way up to £3-4 at the other. You could knock up some cardboard signs signalling price brackets too. This might sound obvious, but be very careful when carrying out transactions. If possible, try to hold the item they wish to buy, take their money and then give it to them. Sometimes people might take the item and "forget to pay". Be sure to always stand your ground. Not all buyers are grown up! If you're selling a few toys and soft animals, you need to make sure they're placed in prime position, where children will see them. If you have a clean tarpaulin, put toys and soft animals closer to the ground. To have the best pitch, you'll want to get to the sale as early as possible. Arriving at the suggested time will give you a below average pitch, further to the back of the sale. You're paying for the full sale, so make the most of it. Even though customers won't be allowed in until after you've set up, other sellers will try to buy from you as soon as you park up. They might not offer you the best prices, but if you're just looking to get rid of stuff, you might not want to miss out on sales. It can be hit and miss. Toys - package them up in plastic bags with all of their pieces so that they are easy to take home. Soft animals - especially if they are like new with tags. Technology - you'll almost always have someone asking if you're selling phones and games consoles. Homewares - small ornaments sell pretty well as opposed to bulkier items that are difficult to carry home. Again, bear in mind that these things might sell for more money elsewhere. Just because they sell well, doesn't mean they'll sell for much! Car boot sales are best for quick sales where you want to avoid postage and returns. If you get a choice in where to pitch up, try to go next to more attractive looking stalls. They'll bring more customers to your stall. If you're planning on car booting on a regular basis, it's worth investing some time and money into your displays. Put clothes onto a clothes rail - they'll be easier to browse and you can display more. Add a full-length mirror - customers will be able to see how the clothes and accessories will look on them. Decorate with a tablecloth - disguise your pasting table with a pretty tablecloth. A bright colour will make you stand out. Don't forget to enjoy the day. A warm smile will always attract more customers. 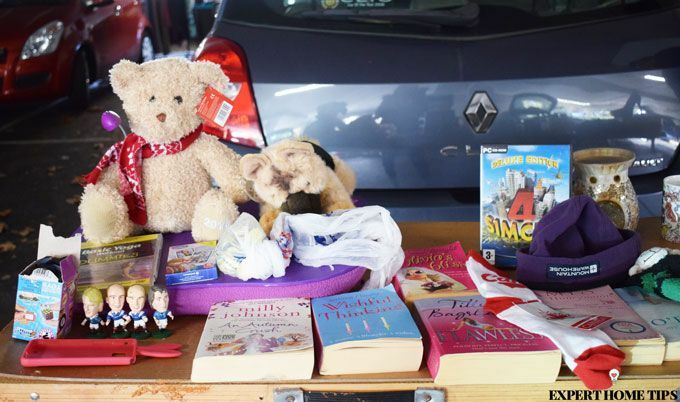 Do you know any other car boot sale tips? Let us know in the comments below!